Christmas and the true image of Jesus Christ? Can Christmas ever give you the true picture about Jesus Christ? Christmas, one of the greatest Christian Festivals, has as its meaning: God coming to this earth. The way Jesus is represented on December 25 each year is a babe in a manger, surrounded by devoted parents and a few animals in a field near the town of Bethlehem complete with a star above. This is the story you see in the Bible. It certainly brings people momentarily to a better place in their thinking, and some may even consider the idea that a divine person even came to this world. 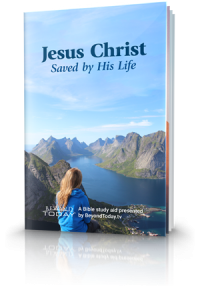 But it is far from the whole truth about Jesus Christ and has never succeeded except in a few cases of getting people to make meaningful changes in their lives. You might ask: How much good will is spread in the world today because of the festivities surrounding the meaning of Christmas? 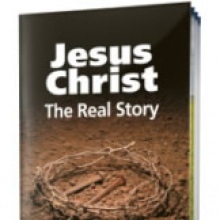 The truth about Jesus Christ and the mystery of who He really is and what He came to do is absolutely astounding. Once a person understands these truths, it changes everything for them. However, His identity is still misunderstood -- is He the 2nd person of the Trinity, or was He created, or the beginning of His existence occurred when He was born of Mary? Christmas for the Christian church takes the position that He is the 2nd person in the Trinity who was manifested in the flesh. 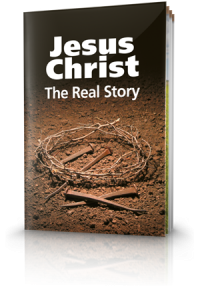 The book of Hebrews describes “who... this man was” (Heb 7:4), and the book of John tells us of His relationship with the Father (John 1:1-3). 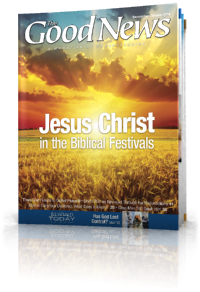 Including these two writings, the Gospels and much of the Bible tells of our relationship with Him and His Father. We are certainly not left without what we need to know about Him. Christmas, while having some virtues imbedded in the sentiments expressed, doesn’t reveal to us really the vital information we all need to know. God gives us observances, for instance, the Passover, that make it clear not only who He is, but what He did, and tells us of a relationship with the Father where He was willing to do the will of the Father regardless of what it meant for Him. Without the example of this person of the Godhead coming to live as a man on this earth, and setting the example of how to live in this world, while not being a part of the world, we would be without out a true leader, the Captain and author of our salvation. What is most important, without knowing who He is in all eternity, so much of what He did will not have the impact on us if we believe He was not really who He claimed to be or the Apostles knew Him to be. His position and role prior to His days in the flesh, then, tells us of one who is willing to sacrifice Himself and as the one through whom God created the worlds. With this important truth we have the greatest unfailing love and respect for God and His son whom He sent. Yes, the greatest gift God could give was His own son. The greatest love one would have is to give his life for his friends. How much boldness (confidence) does this give you? Winter solstice, Santa and mistletoe just can’t convey this wonderful truth.